Regain the contour of your jawline lost to age. We can chisel your jawline with a non-surgical quick and painless in office procedure using dermal fillers. Male jawline enhancement is an effective way to get the jaw you always wanted or have lost to age. You can get a strong jawline back with the help of dermal fillers. 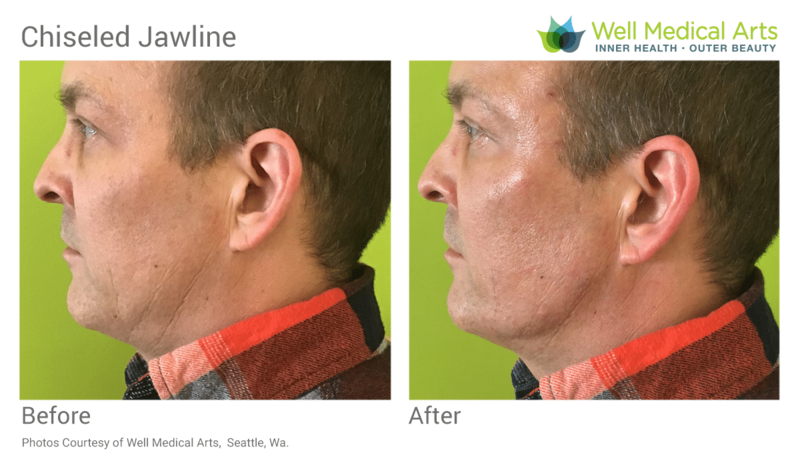 At Well Medical Arts we typically use Radiesse or Bellafill to define the jawline. Combining a dermal filler to the jaw and any static fine lines along with Botox to the dynamic wrinkles can yield very effective and natural looking results. No one will ever know unless you decide to share your secret.